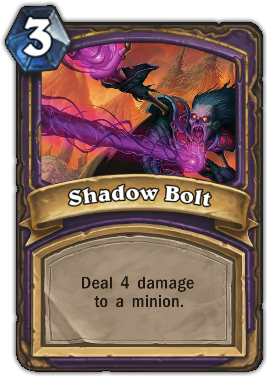 Description : Deal 4 damage to a minion. Quote : It’s a Bolt. Its made out of Shadow. What more do you need to know!